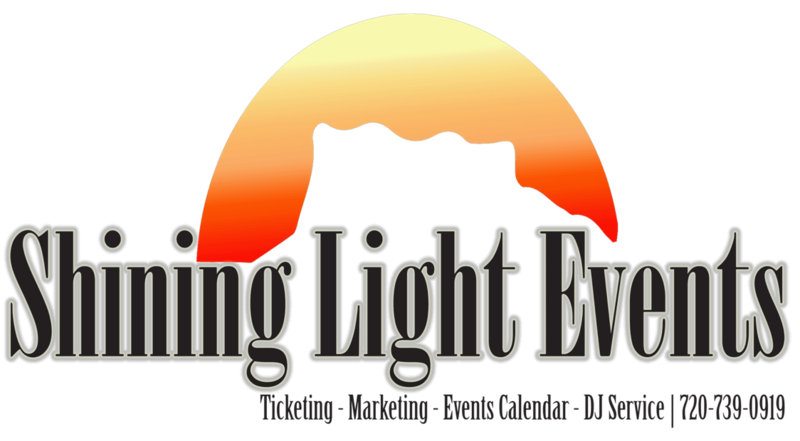 About us – Shining Light Events, Inc.
We truly believe “The Client/Customer Experience” to be one, if not THE most important part, of a business’s success and that is why it is our top priority. We believe in bringing family events to communities across Douglas County. Our clients run our business and are apart of our family. We achieve their requests and assist with their event through providing world class service…providing our clients with events ticketing, marketing and DJ services for less. What all do we receive when using Shining Light Events? Email blasts to our email list of people up the front range. Tickets with bar codes and logo or image of your choice on each ticket. You can scan the bar codes with your smart phone. Custom event page made especially for your event. Will be listed as a featured event on our web page. How is it free to use? How is it free? We will add 2% + $1.00 to the price of each ticket, so the attendees pay this fee. Most ticket pages charge 2.5% to 7% convenience fee at check out. We charge it on the front end plus a lower amount which leaves your clients happier. We will also add in the 2.9% + $1.00 credit card fee on the front end if you choose…so you will make more money off your event. What happens the day of our event? Bar codes are placed on all tickets that you can scan at the event with your iPhone or Android smart phones. Your logo or image of your choice will be on all tickets. You will receive a guest list will all your customers! All this and free marketing when you sell tickets with Shining Light Events! We have helped several events sell out and raised over $140,000 profits for our customers in two years…let us help you next! Ticket page with custom made tickets. and Social Media, Email Blast, Press Release publishing and event calendar postings.